love, laurie: "clang, clang, clang went the trolley"
"clang, clang, clang went the trolley"
the area where ryan and i live is known for trolleys. in fact the city of scranton is nicknamed "the electric city" because they claim the first electric streetcar ran here in 1886. electric cable trolleys played a significant role in the history of our area and we have an entire electric city trolley museum dedicated to preserving the history and the trolley cars from that era. 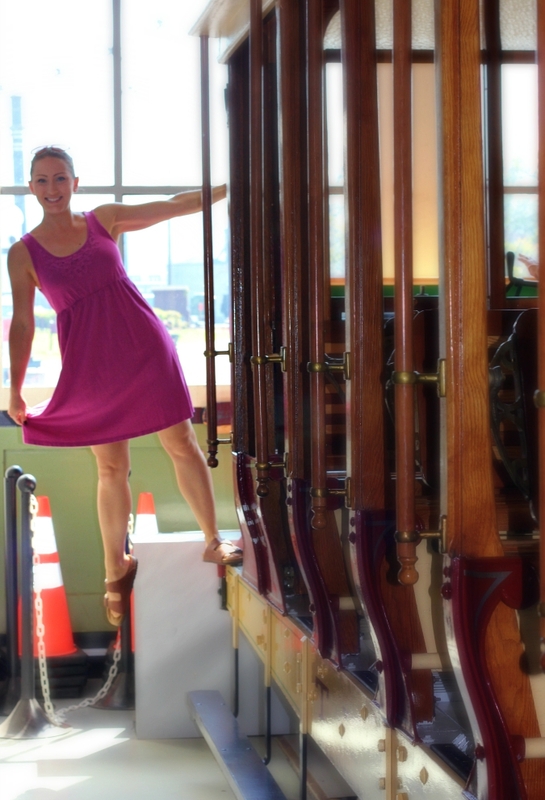 even though we've lived in this area for so many years, we've never visited the trolley museum. over the weekend the trolley museum was offering free admission, so my parents and i went to go check it out. (unfortunately ryan couldn't join us because he had to work, but i'll be sure to take him back sometime.) the reason admission was free this weekend was because of the grand unveiling of the humongous train set gifted to our local tv station by john oliver from the tv show "last week tonight." it was neat to be able to see the train set in person after seeing it on tv, and we really enjoyed the museum. some photos from our trip to the museum . . .
Well I learned something. I always knew that Scranton was called the Electric City, but never knew it was from the electric-powered trolleys. That was such a great museum and trolley ride. Much more than I ever expected. It was also great reminiscing about your high school play, which also holds a place in our hearts because of Esther and the trolley driver in the show. That production was better than Broadway. It was good to see that elaborate train set built in the likes of Scranton just for one, couple-minute show on TV. I am glad that WNEP took possession of it and it is housed were everyone can see it. Great outing. I would highly recommend it. I did not know that there is a trolley museum in Scranton; I'd like to see it sometime. My mom and dad often talked about riding the trolleys in Easton and Philadelphia when they were young.